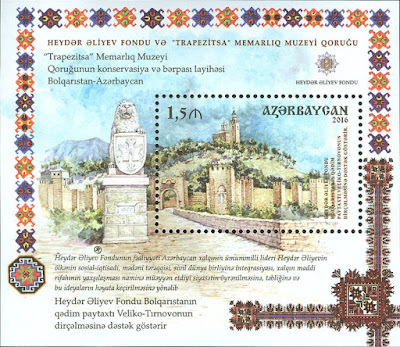 New Azerbaijan postage stamps 2016. Architectural historical reserve “Trapezitsa”. Azerbaijan - Bulgaria joint issue. 22.11.2016 - Architectural historical reserve “Trapezitsa”. Azerbaijan - Bulgaria joint issue. N 1281 – 1,5 manat. 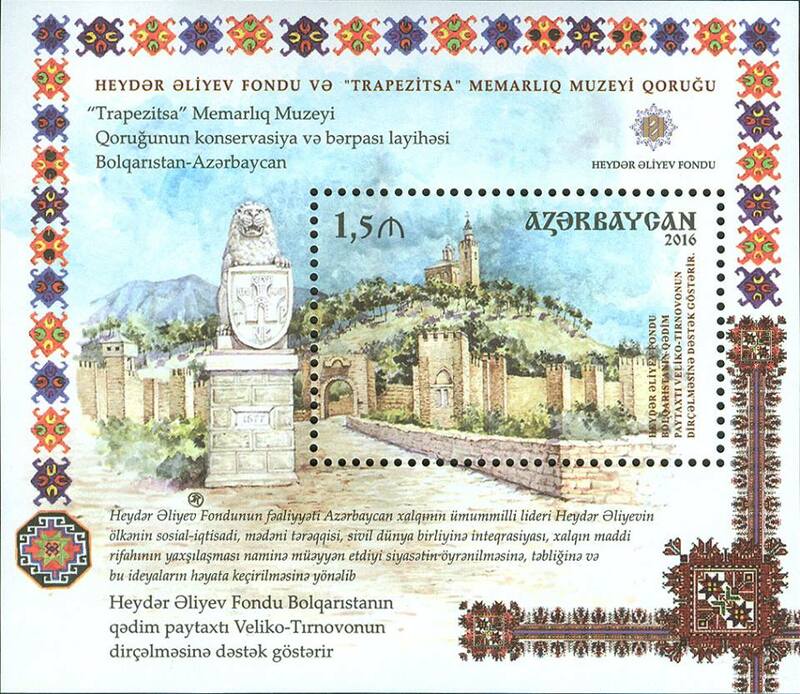 The stamp is dedicated to preservation and renewal of architectural museum complex "Trapezitsa" located in Great Tirniv (Velikiy Tirniv), Bulgary. The entire scope of work is financially supported by Heydar Aliyev Foundation, Azerbaijan.